It is quite common for 1 or 2 eggs to fail and the average number hatching is 4.0. After hatching naked, the owlets quickly develop a very thin covering of down. They are still unable to keep themselves warm at this early age so the female broods them until the eldest is around 3 weeks old. The male brings in small mammals, which the female rips into tiny pieces to feed to her growing young. In the 1st week or so the most common sound made by the owlets is a soft chittering – particularly when uncovered. By 3 weeks old an owlet can swallow a whole shrew or small mouse. At about 3 weeks, the birth down is replaced by a thicker down, enabling the owlets to keep themselves warm. This frees up the female to help the male with hunting duties. The owlets are now able to feed themselves and squabbles over food are not uncommon. They are increasingly mobile and by 5 weeks they can run, jump, pounce, hiss and click their tongues. They typically move their heads from side to side, round and round, even looking upside down! The characteristic heart-shaped face appears, and the flight feathers can be seen underneath the white fluffy down. Take a look at our age determination guide for estimating an owlet’s age. When hungry they call endlessly for food with the food-begging call; “psh…psh… psh…psh…psh…”. Even before an adult arrives with food they seem to know it’s coming and jostle for position. Some surprising behaviour has been recorded including nestlings repeatedly feeding each other rather than eating food themselves. At around 6 weeks old, well fed owlets can be 100g heavier than adults! See our gallery of Barn Owl nestlings. By 7 weeks, most of the nestling deaths associated with food shortage have already occurred and the amount of prey delivered by the adults starts to decline. The average brood size is 2.84. Even when the young are fledged, food is still brought to the nest. Wing flapping exercises have now begun in earnest sending tiny bits of white fluff in all directions! 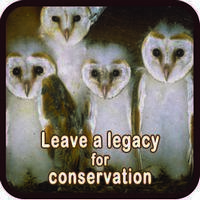 By 8-9 weeks, owlets will have made their first short flights and by 10 weeks of age most young Barn Owls look like adults and are quite competent flyers. The average number of young that fledge is only 2.5 but where or when food is plentiful, broods of 6 or even 7 have been recorded. During the process of fledging the young repeatedly return to the nest and can still be found roosting together in the nest by day. See our gallery of fledgling Barn Owls. Once outside the nest place, “play-hunting” may involve pouncing on anything that moves. They receive little or no training and learn to hunt by their own instincts. The earliest recorded prey capture was at 72 days old and by the owlets’ 12th week they are getting much less food from the adults. Eventually, at around 10-12 weeks old they try roosting outside the nest by day, sometimes in nearby trees. Once they’ve got wet a few times, one would expect them to learn the advantage of dry roost sites. However, our radio tracking has found that roosting in trees (e.g. in Ivy) can persist until temperatures drop in November. At around 12 weeks of age the owlets gradually venture further and further afield until at about 13 weeks old they instinctively leave to find their own home range. This is called dispersal. By 14 weeks almost all the owlets have left their parents’ home range. There is some evidence that lingering young are chased away by the adults (particularly by the female) but records also exist of young being tolerated for several months after fledging. Whether or not the owls lay eggs depends mainly on food supply. 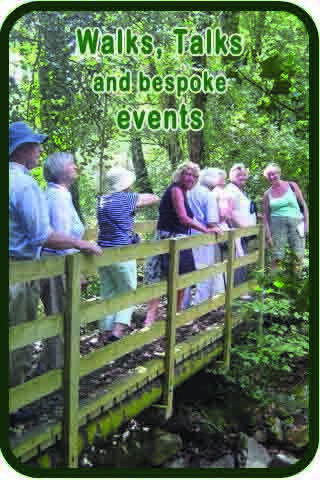 Take a look at hunting and feeding. The next stage in the process is juvenile dispersal. 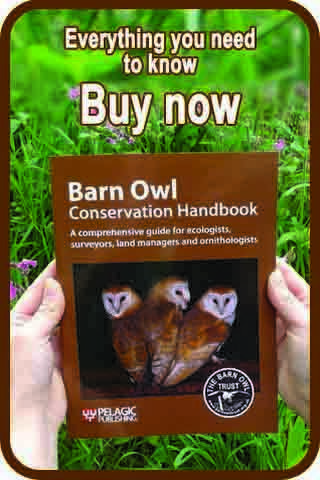 There is more information about this topic in the Barn Owl Conservation Handbook. Is your car dying? Why not donate it to us? 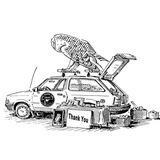 All you need to do is contact Give a Car and tell them you want to support the Barn Owl Trust, they’ll collect it from you and send us what it’s worth. Simple!